The value of gold has been on the rise since its five-year low in July as investors look for safer havens concerned over China’s economy. The crisis in Chinese stocks and last week’s devaluation of the yuan have prompted a drop in other Asian currencies and shaken Asia’s equity markets. In that period, gold has gained almost three percent to $1,110 per troy ounce since its July 8 five-year low. Gold has been performing better than other commodities, such as aluminum which has lost six percent and copper nine percent in the same period. Rising gold prices are encouraging short-term bets on the precious metal; however long-term investors are still staying away. The need to find a safe haven in time of uncertainty is the main driver for gold demand. Prior to the rally, gold prices had been sliding from their peak in 2011. 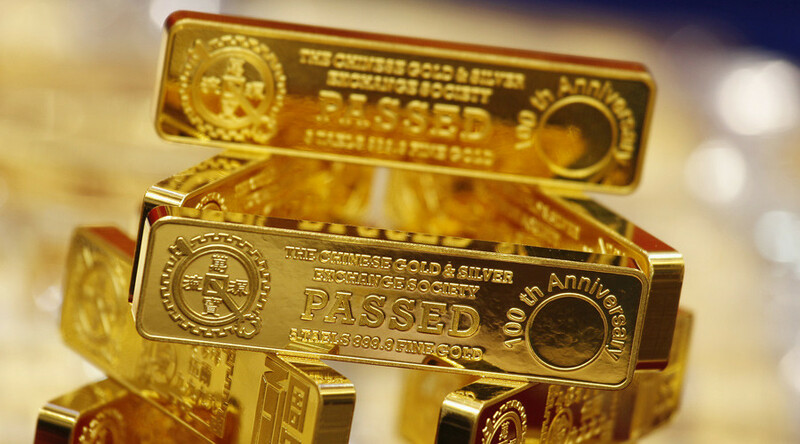 Demand from the world’s top buyers of the precious metal, China and India, dropped by three and 25 percent in 2014, according to the World Gold Council. However the two countries are expected to increase consumption by the fall.